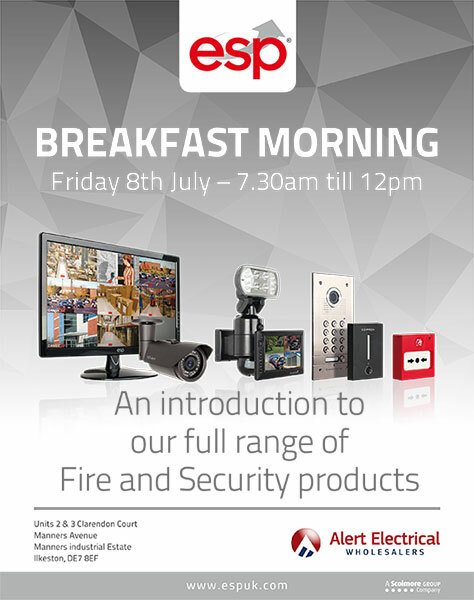 We are holding a breakfast Morning Friday 8th July at our Ilkeston branch. ESP are coming over to show off the latest fire, security and door access products. Why dont you come along to see the latest products.